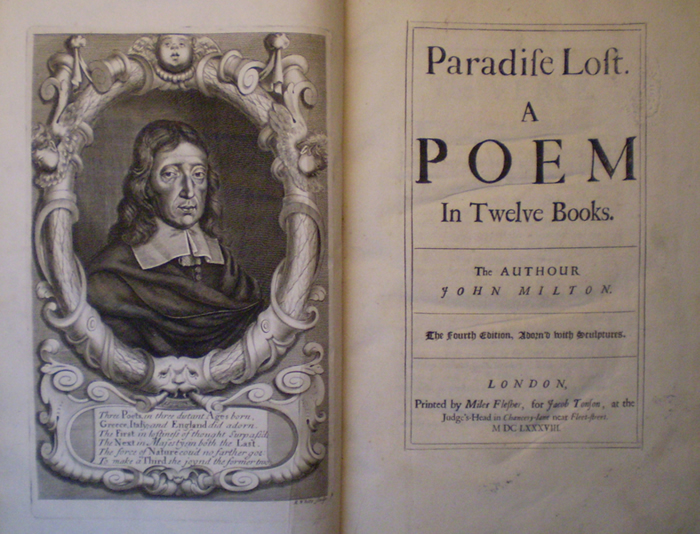 April is National Poetry month so what better way to celebrate poetry than with John Milton. In our Well Educated Mind quest, poetry is one of the categories. Most of the poets on the list may be found online. There are numerous site where you may read Paradise Lost or even download it to your e-reader from Project Gutenberg. 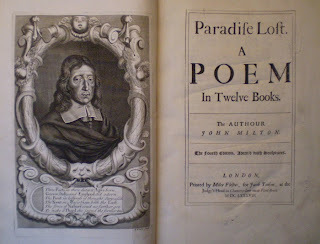 Paradiselost.org is full of information about Milton, his life and his works. Darkness Visible, hosted by Christ's College at Cambridge University, has everything you need to know about Milton and Paradise Lost including plot summary of each of the books, history of the illustrations, Milton's life, religion and politics and his influence on later writers. It is a wonderful, interesting, educational site for studying Paradise Lost. You'll get lost for a few hours, in a good way. Believe me! Continue it here, here, or here. Thank you for hosting the challenge! It's been wonderful reading each week as part of the challenge; and finding new books to read from the ones that have been featured in past weeks by others. Every week, I wonder: what will Robin post about this week! It's exciting! Thanks for doing this challenge. I am enjoying it so much. Great as always to read your posts and it has reminded me that I must read some poetry as part of the challenge. @Hen Jen: Sending catch up vibes your way. Glad you are enjoying the challenge. @Paul: The one area I'm lacking in, so trying to make up for it. @Kaye - Now that you know, go read some poetry. Better yet, take a stab at writing some. I'm not big with poetry myself but learning to appreciate it. Poetry is great. I love Poe, and Frost. One of my favorite poems is "The Road Not Taken." I missed the Wk 14 link up. I read The Legend of Sleepy Hollow by Washington Irving. Have a great day!